Basketball is a game of runs, and such was the case when the Georgia State Panthers squared off against the Mercer Bears on Nov. 13 at the GSU Sports Arena. Led by a career-high 30-point effort from senior Jeff Thomas, the Panthers squeaked by the Bears 62-60. “He was unconscious,” head coach Ron Hunter said. Georgia State (2-1) led 40-25 at halftime, and after trading baskets for most of the second half, a Thomas 3-pointer pushed the Panthers’ lead to 55-36. Mercer (1-2) then began chipping away at the Georgia State lead and reduced it to just six points with 4:48 remaining. Kane Williams pushed the lead back to nine with a 3-pointer within the minute. That bucket seemed like the shot that would settle everything down for the Panthers, but Mercer came right back and responded with a 3-pointer of their own by Ross Cummings. Mercer came within two points and had a chance to win or tie the game after Damon Wilson missed the first attempt of a one-and-one at the free-throw line. The Bears chose to go for the win, but Djordje Dimitrijevic missed a 3-pointer attempt and the game clock ran out. The Panthers were on fire from deep in the first half, shooting 11-of-21 on 3-pointers. Thomas and D’Marcus Simonds combined to shoot 9-of-15 from beyond the arc in the half. But things cooled off in the second half, and the team shot 4-of-14 from deep. Simonds finished the game with 16 points and six rebounds. 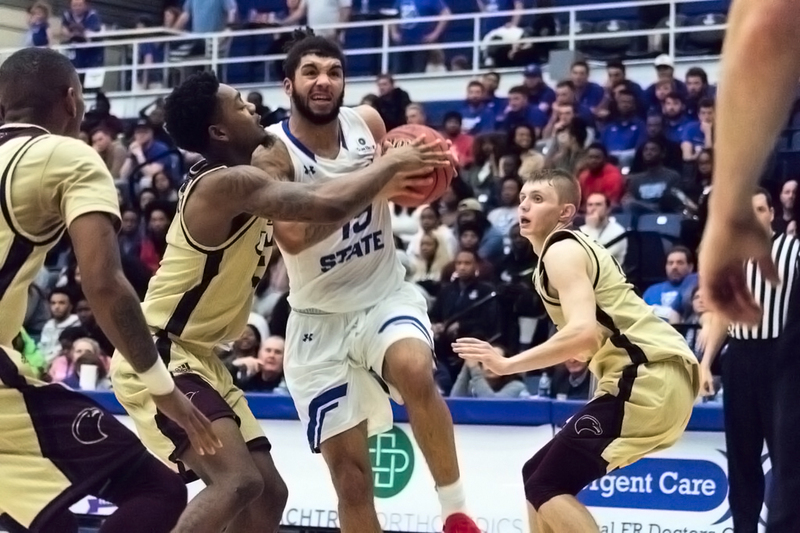 Georgia State will return to action on Nov. 19 against St. Bonaventure in its first game of the Cayman Islands Classic.